On this page, you will learn how to setup "Twitch Chat Overlay" by Hotrian. It's the #1 program for being able to pull up Twitch chat while in VR (HTC Vive). When you're done setting up the guide, you'll be able to rotate the controller you assigned and see a Twitch chat window spawn allowing you to interact from within VR. 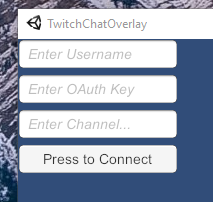 STep 1: Download "Open VR Twitch Chat"
Right now this is the only app that will give you a Twitch Chat VR overlay on top of any game you're running on your Vive. Create a new folder and extract the .zip from the download link above. 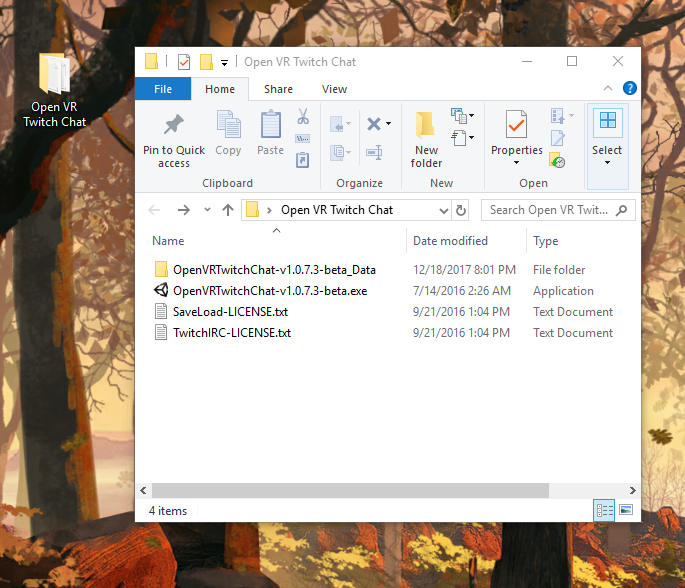 Keep your folder in a location that's easy to find whenever you want to stream VR. You will be opening this up before every stream. 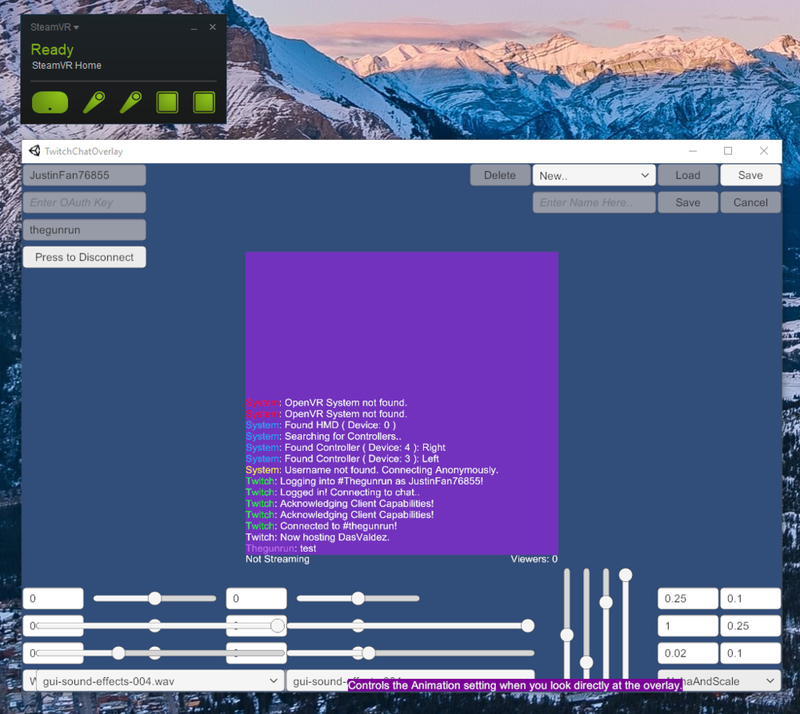 Launch SteamVR from Steam and make sure the controllers are on and showing up green. 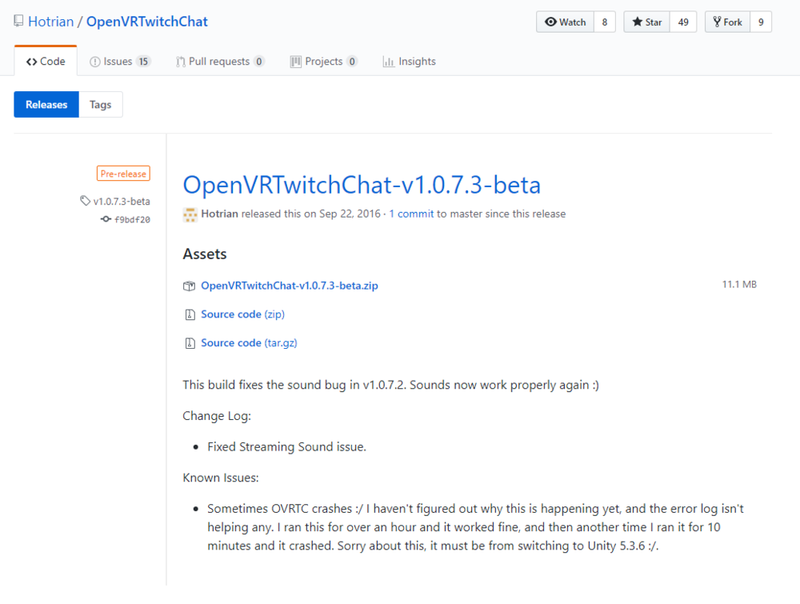 In the folder you created and extracted the files to, open "OpenVRTwitchChat-v1.0.7.3-beta.exe"
In the top left of the TwitchChatOverlay app you'll see a field with the text "Enter Channel..." type the name of your channel here and hit connect. In the bottom left you'll see a drop down that says "World". Click on that drop down and select either your left or right controller. This is up to you! 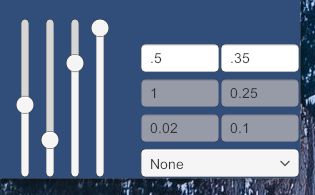 In the bottom right set the drop down to "None" and the top two editable white fields enter ".5" and ".35". The .5 is the oppacity and the .35 is the size, feel free to edit this as comfortable. After you're all setup you should now be able to rotate whichever controller you selected and see chat similar to this screenshot below.